Personal training at Puravida Fitness is geared for people who are tired of being in the large overcrowded, intimidating, and distracting environment of the large box gyms. We offer a smaller, more intimate environment where clients can work on their specific goals in a much more comfortable and relaxed environment without feeling like they are on display. All of our trainers hold nationally recognized certifications and are highly trained in the latest cutting-edge personal training techniques. Looking for specific training? In addition to general fitness training, our personal trainers offer the following specialized training options. Ryan Moore is our certified strength and conditioning coach who also works in a paid position at a local high school. He specializes in working with athletes of all ages. Whether in season or out of season, he will come up with a detailed and progressive plan to prevent injuries and maximize performance. Our trainers are all well trained to work with injuries and special needs. We use our “fitness voodoo” and other advanced techniques to help clients get back to an optimal state of function. We have worked extensively with the patients of several area chiropractors and physical therapists. Whether your looking to get into competition shape or just want to work on taking your strength training to the next level, our trainers have the expertise to help you advance. From personal training schedules to nutrition coaching and guidance, we will lay the groundwork and develop an individualized body and strength building plan to help you see the results you desire. Looking for group training workouts that feel individualized to you? Our workouts are phased out month by month and are progressive so that each week group training participants see changes and progress in their bodies and performance. Strength and toning for the entire body. Another benefit of group training is the support and encouragement of other class members. Many great friendships have been formed in our classes! And don’t worry, our trainers are excellent at modifying for injuries and different levels of fitness. No boring treadmill workouts here. HIIT stands for High Intensity Interval Training. This 30 minute class is designed to crank up your metabolism and fat burning hormones using a combination of weights, kettle bells, bodyweight and movement drills to keep cardio training fun and challenging at the same time. 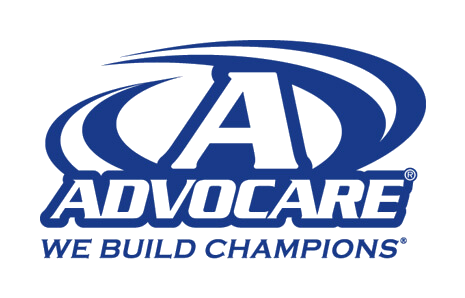 Advocare nutritional products is the company we use in conjunction with nutrition coaching to help our clients see great results. We chose Advocare for a few key reasons. Products taste good and are effective at helping our clients stay on track with their nutritional programs. We use them ourselves and with our own families! Precision Nutrition is a nutritional progression model rooted in science and real-world research. In some ways, it’s the direct opposite of a diet. And it’s why our clients have been so successful. Precision Nutrition uses a nutritional progression model that helps you change your habits. Progressive and effective plans can be designed to meet the client where they are at, whether they are a busy mom trying to lose some weight and feel better to an elite athlete looking to compete at the top level. Ongoing accountability and check ins help clients build a foundation of good nutrition habits and knowledge that will stay with them the rest of their lives. Too busy to make it to the gym? Live too far away? We offer an online personal training option as well. After an initial consultation, we’ll develop a plan to help you meet your fitness and health goals incorporating exercises and other resources you can do at home or at a gym convenient to you. Weekly online check ins and video conference sessions with a trainer will ensure you stay motivated and progressing toward your goals. Want to look your best for an upcoming event or vacation? Or just looking for a comprehensive plan to make changes to your life and your health? Our 12-week transformation workout is one of our core offerings, focusing on delivering max results in just 90 days. We design a COMPLETE program that includes strength, cardiovascular training, mobility/flexibility, balance and core work. Along with that, we work extensively with our clients on their nutrition plan since this is really 70-80% of transforming the way you look and feel. The combination of nutrition coaching, effective training sessions, a structured plan, and accountability generates real and noticeable results. Most clients come in 1-4 times per week based on their goals, budget, self-motivation/accountability. All programs are truly customized to fit our clients. Beyond fitness and nutritional coaching, we offer support and motivation, two components we find are the most critical to helping our clients make changes for both the short and long term. Want to learn more? Contact us for a free consultation and learn how we can help you start living your best life in just 12 weeks!